What can I do to help my child practice music? One of my parents from Greenvale recently asked me what they can do to help their child practice more often. Use a practice journal. Agree on the number of practices your child will do each week and then physically sign off each time they complete the practice. Compliment them every time you sign their practice journal. When they complete their weekly practice schedule make a special fuss. That might be a treat or anything that makes the child feel special. Start with small goals: For beginners, we recommend 3 X 10 minute practice sessions per week. If the child wants to practice beyond the 10 minutes, that’s fine, but it is easier to get started of you think it will only be 10 minutes. Encourage them. Make a point of listening to their practice and compliment them on the positives. Help to develop your child’s self esteem. Fuss over them. Let them know you are proud of them. Ask your child to perform for visiting family or friends to show what they can do. It gives your children an opportunity to be proud of what they have achieved. Become involved in their goal setting. Talk to the teacher about what the children are working towards. Show your children how to break a goal into smaller objectives and reward them for achieving goals. Help them learn to celebrate. 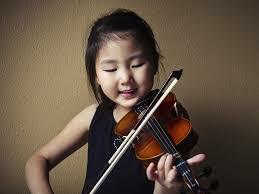 Enrol the child in music exams and recitals. These are great goals, which will help to motivate the student. If things aren’t working out, try a different teacher. Sometimes all it takes is a different voice. Take the instrument out of the case when they get home. This can be a visual reminder that they need to practice. Sometimes, they may just pick it up and start playing. It all counts. Don’t tell a child to practice as punishment for misbehaviour. Don’t ever become impatient with your child when they are practising. If the parents consistently apply the rules the child will learn discipline from the parents.